It's official: the US approves waiver of select sanctions in Iran, claims Iran has begun curbing nuclear program. It's official: the US has approved a waiver Monday to lift some sanctions on Iran, claiming that the Islamic Republic has taken measures to curb its nuclear weapons program. "Iran has begun to take concrete and verifiable steps to halt its nuclear program," State Department spokeswoman Jen Psaki said, quoted by AFP. She added that it was "an unprecedented opportunity" to resolve global concerns over the program. US Secretary of State John Kerry has approved the waiver to lift sanctions, and it will be sent to Congress later Monday, according to Psaki. White House spokesman Jay Carney hailed Iran's actions as "an important step forward." "These actions represent the first time in nearly a decade that Iran has verifiably enacted measures to halt progress on its nuclear program, and roll it back in key respects," he said in a statement. "Iran has also begun to provide the IAEA with increased transparency into the Iranian nuclear program, through more frequent and intrusive inspections and the expanded provision of information to the IAEA." The approval comes just hours after the European Union (EU) reportedly began lifting sanctions as well, after the UN's atomic watchdog confirmed that Tehran had halted production of 20 percent enriched uranium in line with the interim deal reached between Iran and world powers in November. 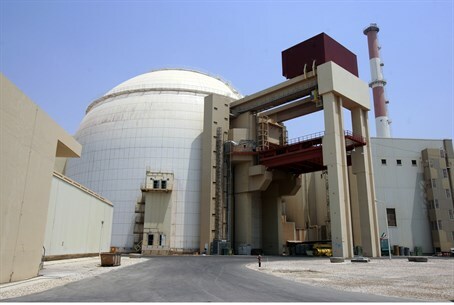 Earlier Monday, Israeli Prime Minister Binyamin Netanyahu vowed not to let Iran become a nuclear power, warning that an interim deal would have no effect on the Islamic state's intent to destroy Israel. "The interim agreement which went into force today does not prevent Iran from realizing its intention to develop nuclear weapons," Netanyahu stated on the Knesset plenum. "This objective is still before us." Netanyahu compared Iran's bid for a nuclear weapon to a train which needed to pass three stops en route to building a military capacity: enriching uranium to 3.5 percent, enriching to 20 percent and a "final stop" of enriching to 90 percent. "The Geneva Agreement cancelled the 20 percent stop but left the train on the track... so that one day, Iran will be able to rush forward to the final stop, on an express track, without slowing down for the interim stops," he said. "In a permanent agreement, the international community must get the Iranian nuclear train of the track." "Iran must never get the ability to build an atomic bomb." Maariv reported earlier this week that Netanyahu has been trying to prevent the deal from going through by any means necessary, using intelligence officials to search for possible breaches in the agreement. While those reports remain unconfirmed, another possibility remains: a military strike. Deputy Defense Minister Danny Danon hinted in a Politico article Sunday that Israel may resort to a strike if necessary, citing earlier examples of Israeli military action without US approval.